Hughes, Bonamassa, Bonham and Sherinian unleash second collection of climaxes and crescendos. 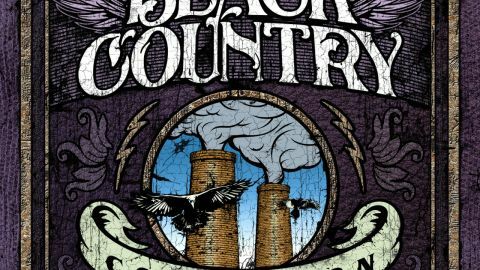 One of the albums of 2010, the debut from Black Country Communion set the bar so high that expectations for this surprisingly swift follow-up can’t help but be confounded. Certainly there have been some puzzled expressions around the Classic Rock office at first hearing this battering-ram of a record. As with its quite deeply layered predecessor, 2 is by nature a grower, and will require listeners to meet it halfway before much of its undoubted magic eventually rubs off – something that would have been helped by fewer tracks. Indeed, at over 64 minutes – over 20 minutes longer than Led Zeppelin IV, for example – the 11 tracks threaten to overstay their welcome until you become better acquainted with them. Once you do, such caveats are left behind as one begins to appreciate the depth and artistry of tracks like its anthemic opener, The Outsider, or the acoustic-into-electric light and shade of The Battle For Hadrian’s Wall. After that, it’s one solid-stone classic after another, from the Zeppelin-esque Save Me, to the extraordinary Cold, where Glenn Hughes steals the show, despite spine-tingling guitar from Joe Bonamassa. While Hughes has written more of 2 than the first album, you soon start to realise you’ve forgotten all about who’s actually playing on it. Produced again by the band’s real musical leader, Kevin Shirley, this is clearly less of a ‘project’ than the first BCC disc, and more the real deal. Bonamassa still takes lead vocal on a couple of tracks, and keyboardist Derek Sherinian’s presence can now be heard far better, while Bonham’s contribution is a real revelation, driving it all as only a man with his genes possibly could. But there are no more supergroup frissons to distract and dazzle you, just the organic sound of what these four musicians sound like when you put them in a room and throw away the key. Hence, swaggering riff-monsters like Man In The Middle and Smokestack Woman. More impressive still are genuinely stirring soul-searchers like Faithless or the eight-minute epic, An Ordinary Son. The soulful Crossfire even veers the band towards prog – in a good way. While not the easiest of albums to embrace on first listen, persevere with BCC2 and you’ll find it worth the effort.